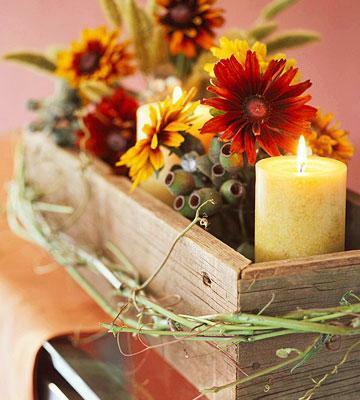 Fall centerpieces are the ultimate attractions of a party table in autumn. 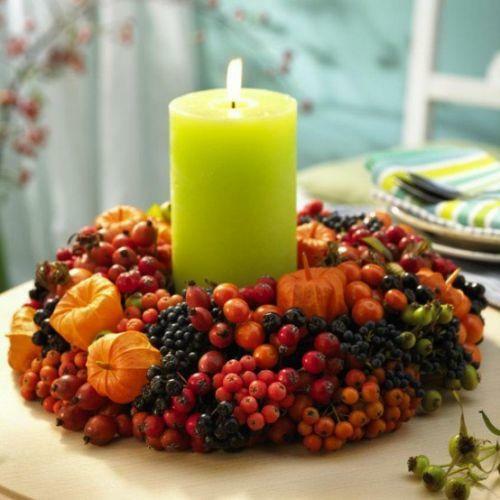 Great for dining room or living room decorating, candles centerpieces, adorned by fall decorations, create beautiful and festive table settings. 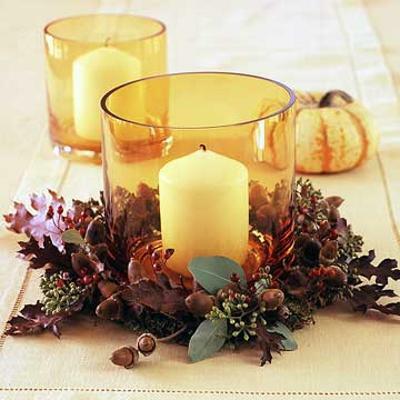 Candles centerpieces are a gorgeous way to turn Thanksgiving decorating in to impeccably fabulous, welcoming and warm. 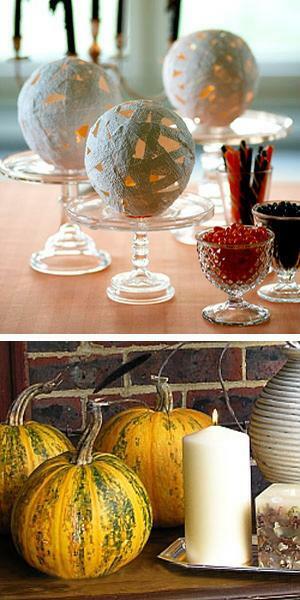 Here is a collection of inexpensive candles centerpiece ideas for Thanksgiving decorating in a budget. 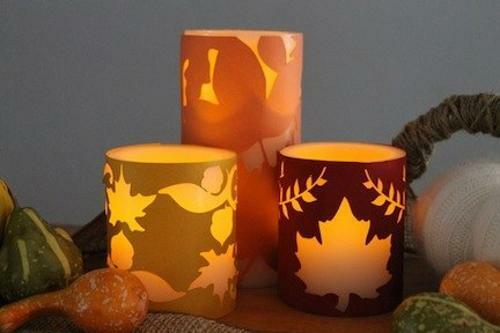 They give great inspirations for simple fall crafts and using the glowing candles for creating festive and cozy table decoration for any special event in autumn. 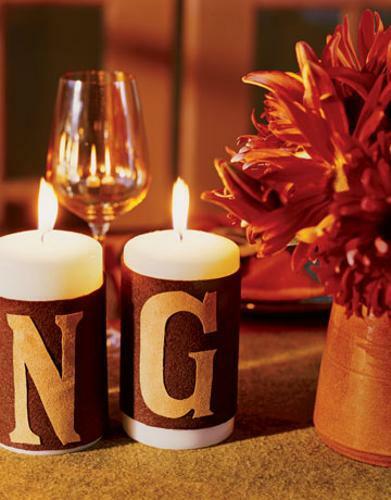 Candles centerpieces are versatile. Combined with natural items, fall fruits, vegetables, berries and flowers, they look amazing and suitable for any occasion. 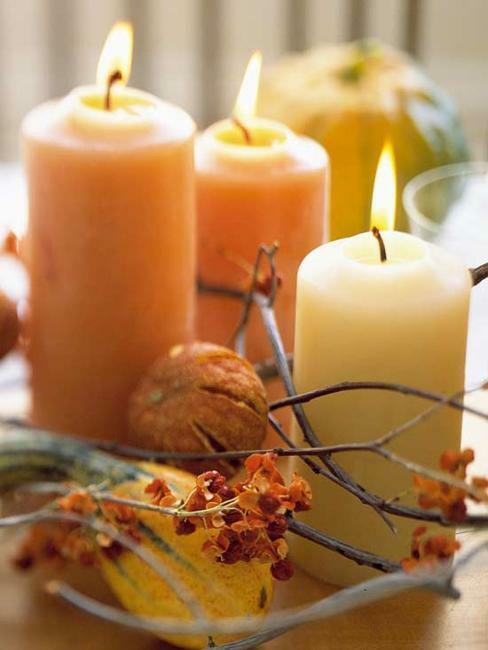 Elegantly simple, colorful and welcoming, candles centerpiece ideas bring warmth and creative designs into Thanksgiving decorating and enhance the spirit of this beautiful fall holiday. 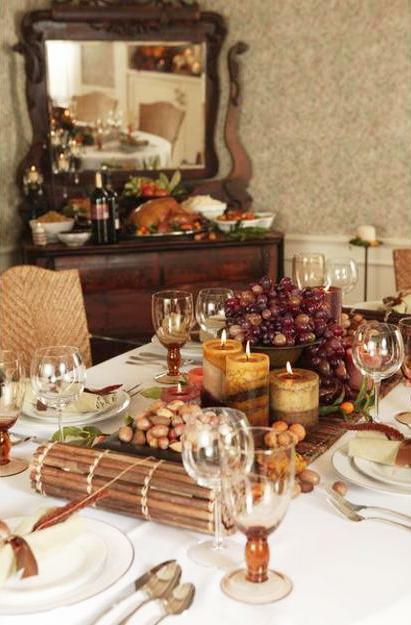 Thanksgiving is traditionally a day when we invite our loved ones into our home and give thanks for all we have. 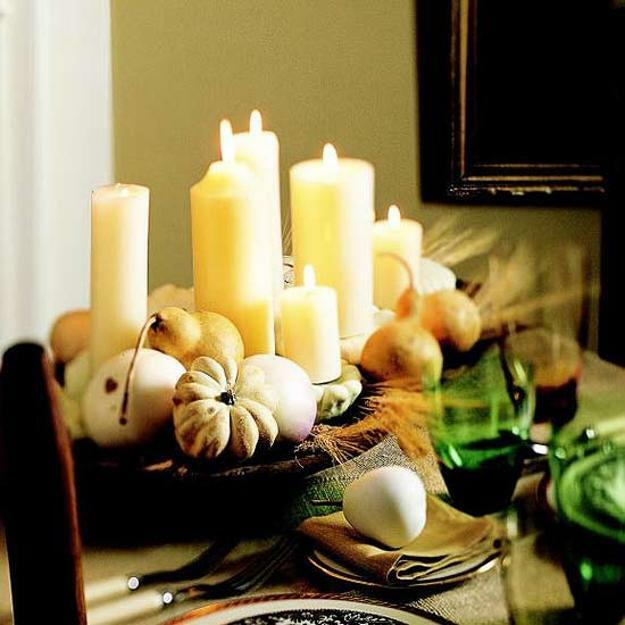 Small budget Thanksgiving decorating ideas can look bright and impressive, while saving your energy and money for coming Christmas decorating. 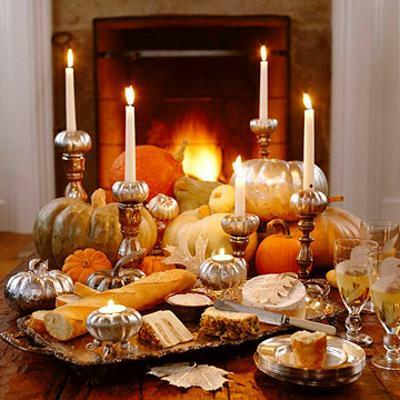 Natural materials, like twigs and branches, fall flowers, fruits, vegetables and berries, miniature pumpkins and guards create meaningful and spectacular tablescapes for your Thanksgiving decorating, reflecting your eco friendly attitude and creativity. The nature is inspiring, providing all you need for simple and inexpensive Thanksgiving decorating and giving you another reason to be thankful for its beauty and money saved. Just select a decorating theme, inspired by fall colors and gorgeous look of your yard in autumn. 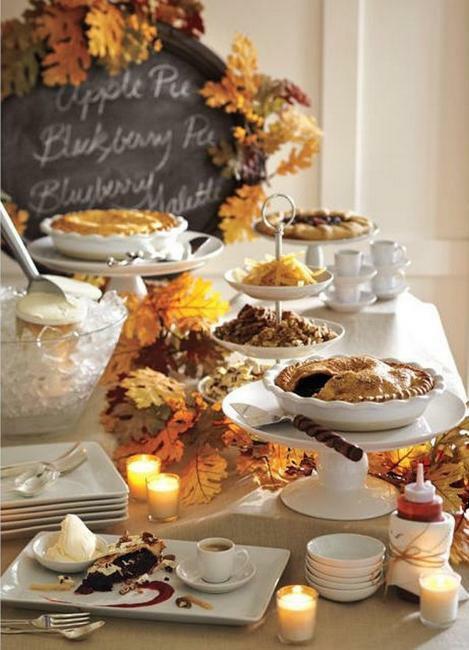 Use the beauty of your natural surrounding and the harvest for beautiful and delicious Thanksgiving decorating theme for your feast. 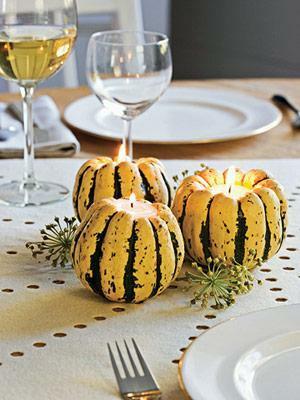 Simple and eco friendly fall decorating ideas are modern trends. 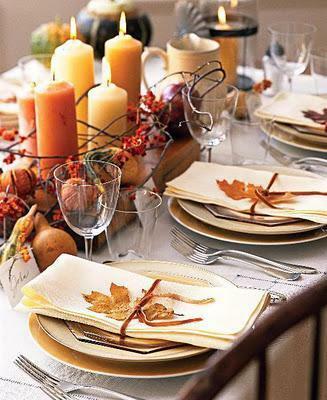 Use what you have to set out plates, dishes, bowls and glasses and decorate your Thanksgiving dinner table with vegetables, fruits, berries, nuts and fall flowers. 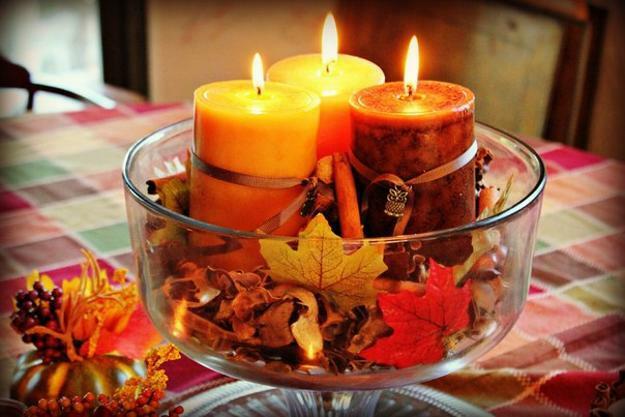 Candle centerpiece ideas help ti bring warm and cozy feel into your home. Colorful details, candles centerpieces and generous table setting create the most festive and lavish Thanksgiving tablescapes. 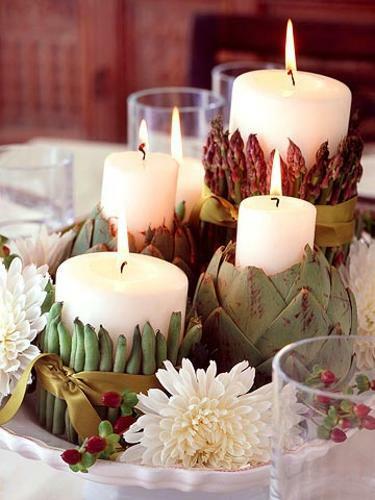 Shimmering candles centerpiece ideas can be enriched with natural materials. Fir cones, acorns, nuts or seeds, fall flowers, fruits and vegetables, colorful fall leaves and bright berries are excellent natural materials that will beautiful your cheap and festive Thanksgiving decorating ideas. 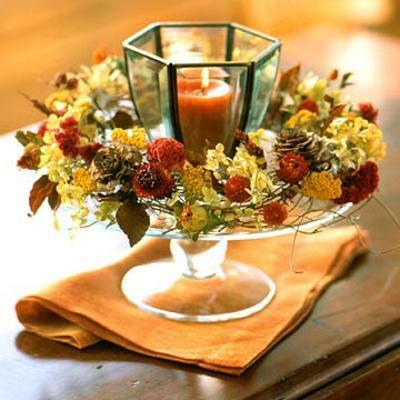 Fresh flowers or branches of fall leaves look stunning and add interest to simple and elegant candle centerpiece ideas. Miniature pumpkins and gourds in your dining room and kitchen add a relaxing, country home-like feel to your Thanksgiving decorating ideas. 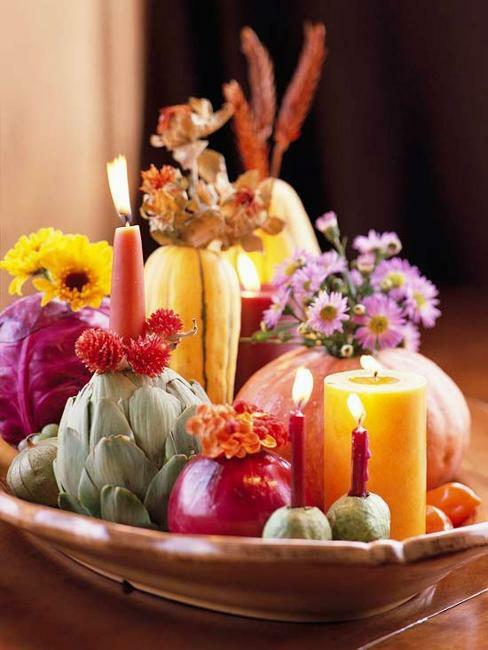 Baskets or vases that hold apples, pears, grapes, small gourds and corn create gorgeous Thanksgiving table decorations also. 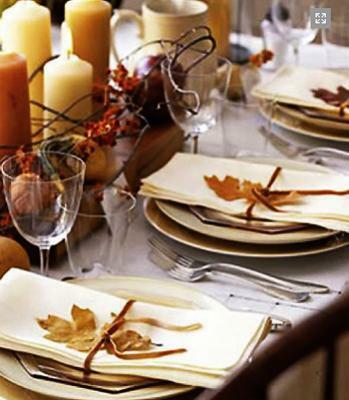 Use what you have and what the nature provide for budget fall decorating and enjoy your loved ones celebrating Thanksgiving in style.